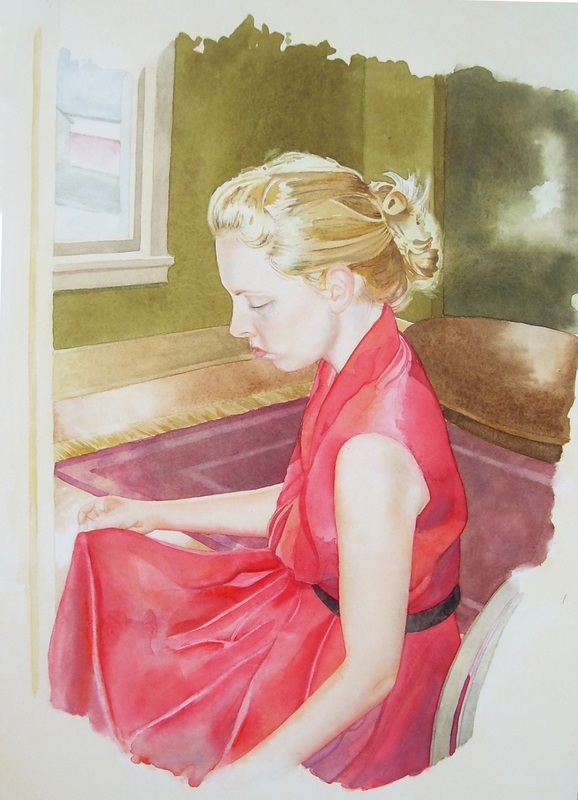 Ryan S. Drew- Watercolor Artist | All Images Copyrighted. All Rights Reserved. For this commissioned portrait, titled “Kristin,” composition and lighting were key in capturing the subject’s personality. The light, reflection, and flow found in the hair was an important part of this work. 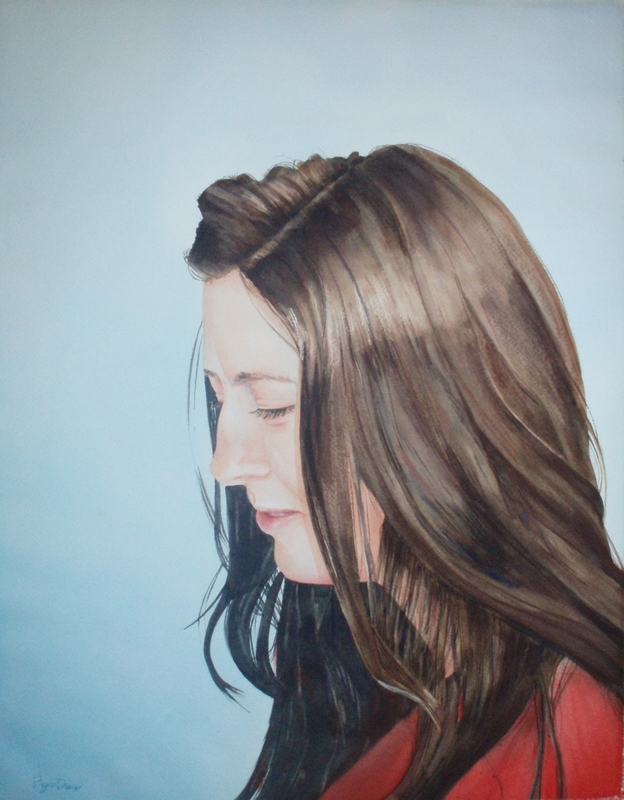 “Katie” was one of the first portraits that I have painted. The challenge was not letting the red dress dominate the fairness of the skin. I also focused on the softness and play of light in the hair. Jar with Pear was a study in reflection and light, using some kitchen items that were readily available. Close attention was paid to the reflectivity within the glass and also the the subtleties found within the surface of the pear. Please email me with purchase inquiries. Clearwater was recently completed and is based upon a photo taken on a beach in Clearwater, Florida. I emphasized the luminosity of the evening, emphasizing the sun’s warmth reflected in the wet sand. White Hollyhocks received the Winsor & Newton Painting Award in 2008, juried by Carla O’Connor. This piece recently finished traveling in a state tour and is available for sale. Full size giclee prints are available. Please visit my website for contact information. Fall Color was recently selected for the Golden Artist Colors, Inc. Award 2009. This is a great honor, and am happy to say that this piece will be exhibited in several galleries, including the Art Museum of Eastern Idaho, Pocatello Art Center, Magic Valley Arts Council, and the 3rd Street Gallery in Moscow, Idaho. A limited number of giclee prints are available for sale. Park Reflections was based off a photo my father took at a local park in the late 70’s. I enjoyed the challenge of creating movement and life in the meandering water. A limited number of full-size giclee prints are available.